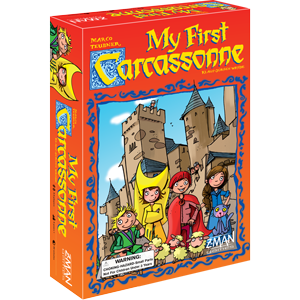 Lay tiles and deliver wares in your bid to be crowned ruler of the South Seas in this unique spin on Carcassonne. 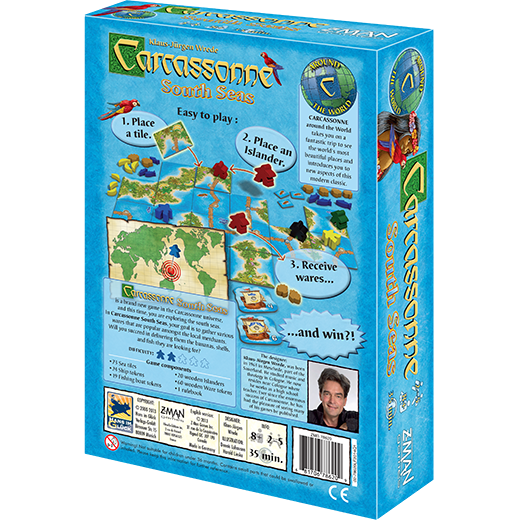 Enter a world of tranquil beauty with Carcassonne: South Seas, inspired by the award-winning Carcassonne. Clear blue waters flow around countless islands connected by a sophisticated network of bridges. The people who inhabit this heavenly paradise frolic and gather the gifts granted to them by nature. 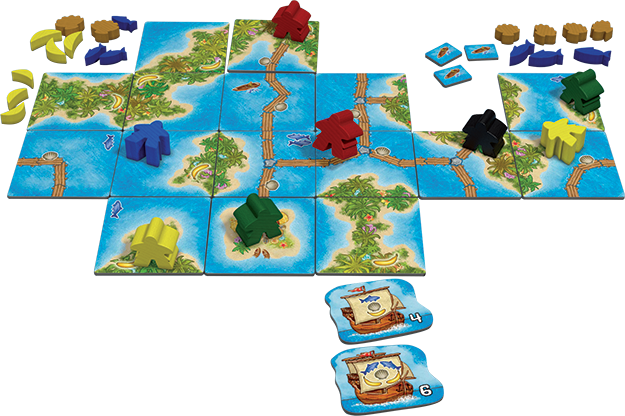 In South Seas, players take turns placing tiles which create Bridges, Islands, Sea Regions, and Markets on which players may place their islanders to collect the various Wares. 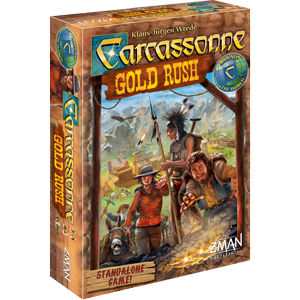 Players compete see who can gather the most Wares and deliver them to waiting merchant ships. 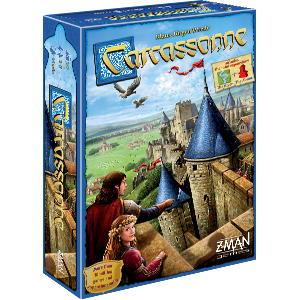 The player who best manages their islanders and meets the demands of the merchants wins. These islands might be paradise, but there’s still plenty of work to be done and roles for your islanders to take on. 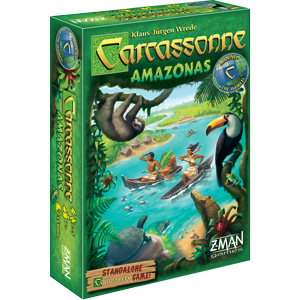 Depending upon what features you place them, they collect shells, pick bananas, fish in the sea, or even become merchants. 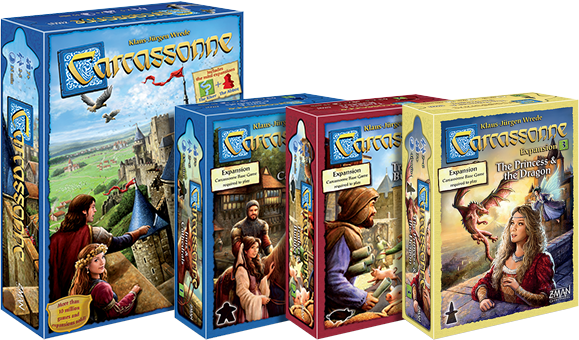 The islanders collect their Wares once their corresponding islands, bridges, markets, and sea regions are complete. 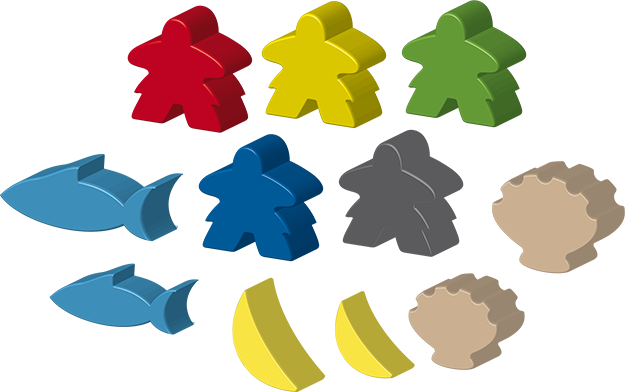 But islanders can only be placed on unoccupied features, so place them carefully and gather only the most in-demand goods. Once collected, load them onto merchant ships to score points. 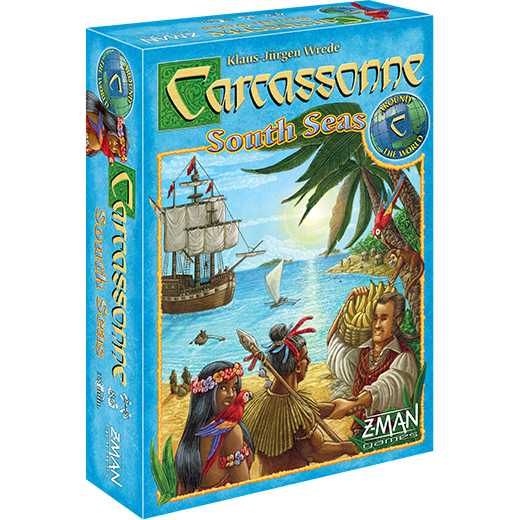 Many seek the crown, but only one player can be named ruler of the South Seas!